"The economics of our current vertical business model no longer add up." 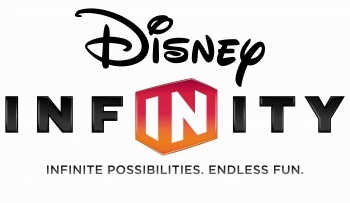 Disney announced today that it would be discontinuing its Infinity line and shutting down Avalanche Software, which will impact around 300 people. Disney's console gaming presence will exist "through licensing partners." "Disney will continue to have a strong console gaming presence through licensing partners such as Electronic Arts and Square Enix, as the category provides a unique consumer experience as well as opportunity for our business," Disney's announcement reads (via Cinelinx). "The team behind Disney Infinity created an incredible product. It was a critical success that inspired a deeply engaged community of players. But, despite Disney Infinity's quality, it has become difficult to financially justify continued investment given the lack of growth in the toys-to-life market. Coupled with high development costs, the economics of our current vertical business model no longer add up." Per the announcement, Disney has said that it will work with employees affected by the closure in order to provide resources, support, and assistance with "potential internal opportunities." Senior vice president and general manager of Infinity addressed the issue further on the Disney Interactive blog. "Our goal for Disney Infinity was to bring the best of Disney storytelling to life in homes around the world, and with your support we accomplished that. We hope you had as much fun playing the game as we had making it," Blackburn wrote. There will be two final releases: three new characters from Alice Through the Looking Glass later this month, and the Finding Dory Play Set launching in June.